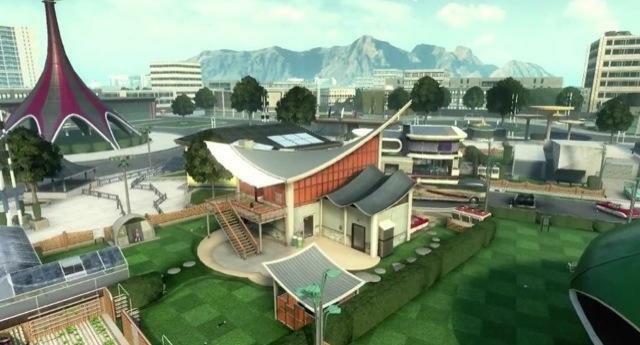 Nuketown, whether you personally love it or hate it, is a map that’s played a heck of a lot by the Call of Duty community. The map made its debut in the multiplayer portion of Call of Duty: Black Ops. Since then, it’s earned its own 24/7 playlist in the game during Double XP events. Now, Treyarch is bringing Nuketown back into focus with Call of Duty: Black Ops II. Only this time, the map has a new, retro-modern twist. Nuketown 2025 is featured at length in the trailer at the head of this post. The potential problem? This is a piece of DLC, and the only availability we know of yet is for those who pre-order the game or those who buy the upgraded collector’s edition. Pre-order Black Ops II or buy the more expensive versions and you’ll get Nuketown 2025 for free. Don’t and, well, we’re not sure when you’ll get this map. Call of Duty: Black Ops II will launch for the Xbox 360, PC and PlayStation 3 on November 13th, 2012.